IT was one out of two for Desmond last week and not good enough for a punter who sets himself high standards. I'VE successfully focused on goals in recent weeks when it comes to Celtic and Rangers games. IT'S a tough card in England today and that's illustrated by the fact Man United are the only odds-on side at home in the Premier League and they're hardly bankers at home to Southampton. DESMOND landed a dynamite double last week and is hoping to go on a nice run. DUNDEE have turned into the great entertainers and it must be tearing boss Paul Hartley's hair out. ARMCHAIR footie fans have been treated to three classic English matches in the past week. BIGGEST game of a busy Premier League card is Liverpool v Arsenal but I'm focusing on one of the lower-profile ones. IT'S Scottish Cup weekend north of the border and the good news is most of the big guns will field full-strength teams. STOKEALONA is possibly the cheesiest tag ever handed to a football team but Mark Hughes's men are doing their best to live up to the tag. DESMOND'S hoping to make a dynamic start to 2016 and he's picked up a couple of English teams he fancies to score 2+ Unfortunately the Newport game has been called off and Desmond's taken my advice to put up Greg's nap as an alternative. LA LIGA resumes on Wednesday night after a short winter break and Celta Vigo welcome fellow Champions League chasers Athletic Bilbao to the Balaidos. IN Scotland there are four matches tonight including Ross County v Kilmarnock in the Premiership and Falkirk v Livingston in the Championship. SOME bookies have already paid out on Louis van Gaal to win the sack race – and he could be packing his bags tonight. ABERDEEN have the chance to move top of the Premiership and pile the pressure on Celtic ahead of their trip to Hearts on Sunday. TWO of Europe’s most in-form strikers will be in opposition at Goodison Park at lunchtime and Romelu Lukaku, who has scored in six consecutive Premier League games is 20-1 to match the previous record of 10 by Ruud van Nistelrooy and 66-1 to equal Jamie Vardy’s tally of 11. DESMOND'S keen to find a winner after a couple of losers and has identified two sides he likes. 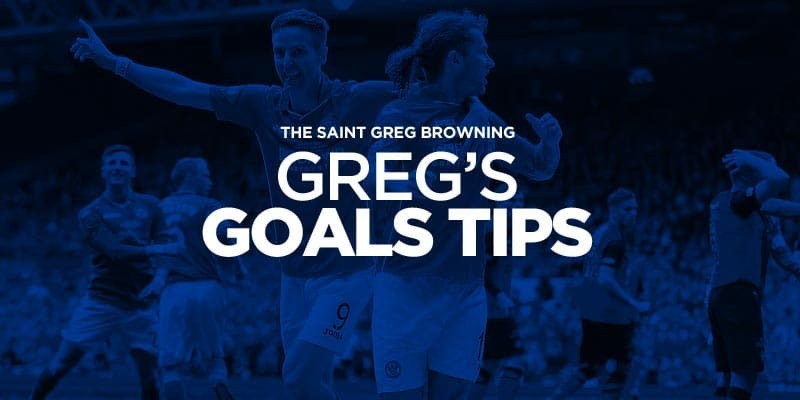 AFTER two out of three winners yesterday Greg is back with one tip from Belgium. CELTIC are out of the Europa League but for many punters they have been this season's “go-to team”. FOR me the biggest betting opportunity of the weekend is at Newcastle tomorrow with Liverpool the visitors. DESMOND is on a good run with three winners out of four and is showing a substantial profit. ALL six Scottish Premiership matches take place on Saturday with Dundee v Aberdeeen live on TV at 12. FOR the last couple of weeks I've been experimenting with teams to score bets. ALL regulars to the site know in general games in the Dutch second tier produce goals. IT was a good day on the site for anyone who concentrates on goals bets. THERE are four English Premier League games on Sunday with much of the focus on Spurs v Chelsea. JAMIE VARDY will hog the headlines today if he beats 10 in a row. ONE of the most popular bets of the day could be Jamie Vardy to score for Leicester at Newcastle and equal Ruud van Nistelrooy's record of netting in 10 successive Premier League matches. WHILE Rangers have been dragged into a title race by Hibs and Falkirk it's a surprise to see which team is sitting in fourth – the best of the rest in a way.